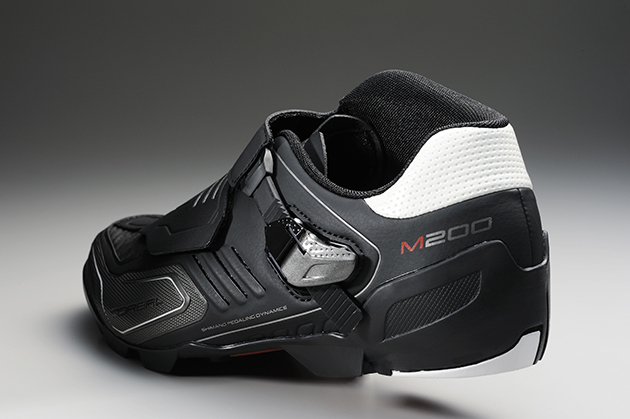 The SH-M200 comes with an asymmetrical cuff to protect the ankle. 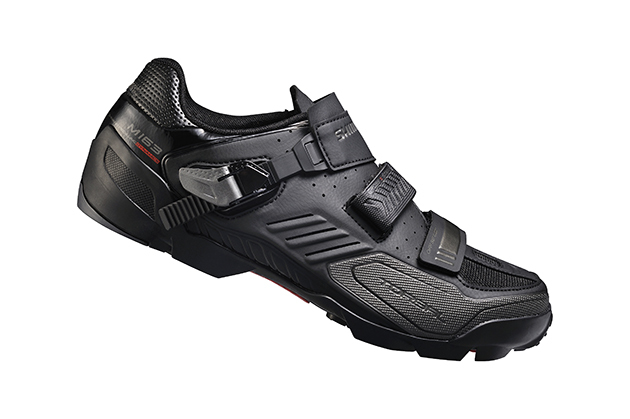 Aggressive trail riders and enduro racers, mountain bikers who blur the line between cross-country and downhill, require footwear that offers pedalling efficiency and the security of added protection. 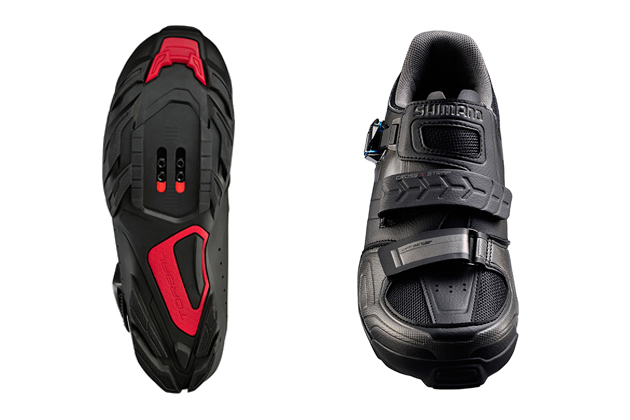 With Shimano's new TORBAL line of shoes, riders can confidently attack the climbs and maintain control on technical descents. Shimano's new TORBAL (Torsional Balance) Technology better connects the rider and pedal with what the bicycle is doing underfoot while maintaining comfort and flexibility through all ranges of rider motion. TORBAL allows the outsole to twist, allowing for lateral movement of the rider, while keeping the forefoot aligned with the pedal. This encourages a natural rider "flow" motion, improving control especially during technical downhills, and allowing aggressive trail riders to push their limits even further. 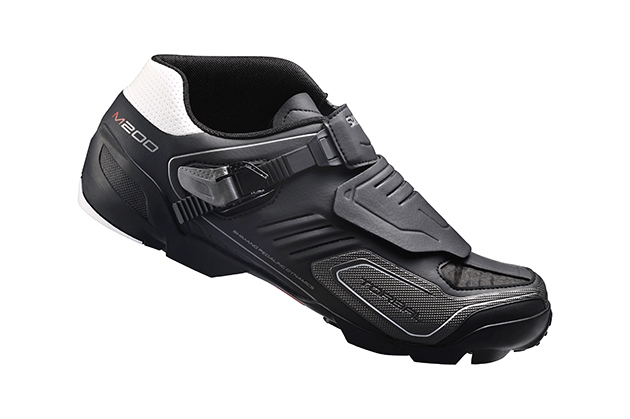 The Enduro/Trail line of shoes also features special new dual-density, extra-cushion insoles for stability during the pedal stroke and enhanced shock absorption and cushioning for the foot. Heels and toes are protected from impacts with the combination of the low-profile, armored upper and molded, raised rubber sole.